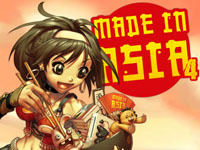 For the fourth consecutive year, Made in Asia show will be held at Brussels Expo. This time it's in the hall n°6 (greater than last year one) that fans of Asian culture will gather from March 30 to April 1st. A second hall (n°10) is reserved for screenings, concerts, fashion shows, cosplay and other events in the evening. As last year, the show is divided into areas dedicated to a theme. Harajuku and Ikebukuro alleys with artists and young creators, Akihabara area with video games, cultural temple with arts and kitchen workshops, double tatami space for martial arts, Shibuya crossroads with activities, exhibitions, purikura and karaoke box and Shinjuku district with shops. The MIA Night will be held on Friday from 19 to 21 with free access to the exhibition and Yuuki Nanami' concert at 20:30. Saturday and Sunday, the show will be open from 10 to 18 and admission will cost €10 (€8.5 on presale). Prestigious guests will be present: Keigo Sasaki (chara-designer of the series Blue Exorcist/Ao no Exorcist), Masahiro Ando (director of Sword of the Stranger), Tensai Okamura (director of Cowboy Bebop, Darker Than Black, Wolf's Rain,...) and the following artists will be in concert: Trill-Dan, BLOOD, Yuuki Nanami and HITT. As last year, Arcade Belgium will have a stand in the Akihabara area and will organize two arcade tournaments: Super Street Fighter IV Arcade Edition on Saturday and The King of Fighters XIII on Sunday. Visit the forum for more information on tournaments and enter our contest to win free entrances to the show! 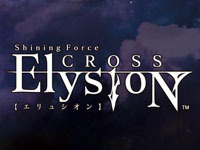 Shining Force Cross Elysium is the third episode of the successful RPG series from Sega. Now up to 8 players can take part to the game (against 6 in previous versions) and now they can join or leave the game at any time to reduce waiting time between plays. As usual, the new version features new weapons, new enemies and various adjustments but it is mainly the addition of a new race that will delight fans: the Dark Wraith (a kind of demon with wings and horns). Shining Force Cross Elysium runs on RingEdge and the game's title song "Awake" is sung by Asami Shimoda. Sega also announced that there would be in-game advertising for Border Break and Shining Blade. Konami releases jubeat copious APPEND, the latest title of its musical game series, today. New songs are added, including some coming from the lastest GuitarFreaks XG3 & DrumMania XG3, pop'n music 20 Fantasia, REFLEC BEAT limelight, Dance Dance Revolution X3, SOUND VOLTEX Booth,... And tomorrow, it's Quiz Magic Academy Sorcerer's Door that Konami will release. The new feature of the ninth episode of the series is the use of two screens: a 21,5" widescreen and a touch screen offering the player an unique playing comfort. The game includes no less than 180,000 questions, answers can now be typed in either kana or roman and a button allows to change the alphabet used. There are 16 quiz modes available: closed question, multiple choice questions, the player must type the answer, the player must sort the letters of the answer,... In cooperative mode (up to 4-player), players receive amulets when they beat monsters. Once equipped, they produce different effects that will give advantages to promote cooperative play. To celebrate QMA IX release, Konami has added limited edition items in Steel Chronicle such as costumes and hairstyles from QMA and QMA music in jubeat plus and REFLEC BEAT plus (iPad/iPhone verisons of the arcade titles). Persona 4 The Ultimate In Mayonaka Arena, the 2D fighting game from Atlus, is out today. Developed by Arc System Works, it is distributed via the Taito NESiCAxLive. This title takes place in the world of Persona role playing games and includes 10 fighters who have psy powers allowing them to summon Personas who come to help during the fight. Two game modes are available: Arcade Mode and Score Attack Mode. 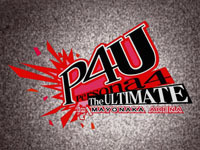 Persona 4 The Ultimate In Mayonaka Arena uses 4 buttons and of course many special moves are possible. A filled up SP gauge allow powerful attacks to be performed. Players can register on "Player's Guild P4U" website to get information on the game, to change their profile data, see the rankings, ... but also to exchange the P$ (Persona Dollar) obtained in game for new colors for the clothing and hair of the characters or even glasses. This Saturday March 3rd, 24 museums in Brussels will open from 7pm to 1am during the Museum Night Fever. Many activities will take place at the participating institutions including the Royal Museum of the Armed Forces and of Military History, the Belgian Comic Strip Center, the Royal Library of Belgium, the Botanique, the Bozar, the Cinquantenaire Museum, the Musical Instruments Museum, the Museum of Natural Sciences, ... But it is the WIELS that will hold our attention since the Rétroludix association will organize a temporary exhibition there devoted to video games of the 80's. They will provide original 80's arcade machines such as Pac-Man and Space Invaders, pinballs (Fathom, Viking, Medusa, ...), home consoles, games and displays of well-known objects of the 80's. Needless to say the machines will be set to freeplay. Music will be provided by Johnny Superglu (at 9pm) and DJ Majella. There will also be a TRON screening and contemporary art exhibitions. The WIELS is located at 354 Avenue Van Volxemlaan in Brussels. It will close at 2am. What to do then? Why not go to Fuse or You? For presenting your Museum Night Fever pass (€12, €8 in presale), entry to these clubs will cost you only €5. Let's party! Already responsible of Donkey Kong Jenga, themed board game maker USAopoly will soon release a Street Fighter Collector's Edition Monopoly. Based on the popular Capcom fighting game series, the gameboard will feature places like Makoto's karate dojo, rooftops of Japan and Shadaloo headquarters. The 6 movers will be modeled after fighters from the game line-up and it's up to you to choose which ones by voting at Capcom-Unity. For now, Ryu is the favourite character with 17% of the votes, he's followed by Chun-Li (14%), M. Bison (11%), Ken (10%), Zangief and Vega (8% each). The other contenders are Guile, Blanka, E. Honda, Dhalsim, Balrog and Sagat. You have until Monday March 5 to participate. 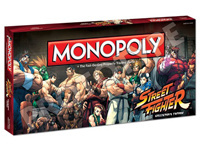 Upon release, Monopoly Street Fighter Collector's Edition will be available to order at USAopoly's website. 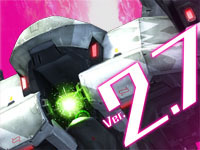 Sega witnessed the popularity of its Border Break Air Burst mecha game during AOU held last month: visitors crowded the stand to try Border Break Air Burst Ver.2.7 and to receive a numbered postcard... Tomorrow, version 2.7 will be released throughout the country and features a lot of improvements. The most important one being the addition of a "chip system" used to customize and improve robots allowing them to perform new actions: for example, detect an incoming object, turn 180° instantly,... Characteristics of the weapons have been readjusted. A new "EX class" now exceeds the "SS Class" in the classification: the mechas who reach this rank will be painted mettalic blue. 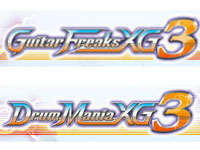 GuitarFreaks XG3 and DrumMania XG3 are out today, it's almost a year after XG2 versions. New feature for these new versions: they will support e-AMUSEMENT GATE, Konami's community service where players can form groups, share their scores and discuss together. 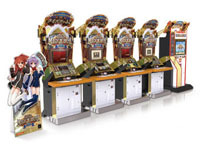 The machines are connected to the e-AMUSEMENT network, so players can compete on the same song simultaneously throughout Japan. Playing online also allows players to earn more "Live Points" that are necessary to unlock hidden songs. Players can now create their own avatar to identify themselves in the game and on their profile. A new scoring system is introduced: each song has a maximum score of 1,000,000 points and the player must score at least 700,000 points to clear the song. Note also that Sega released Sengoku Taisen new update today: Sengoku Taisen: Sengoku Taisen -15XX Five men of Shishido introducing new characters. 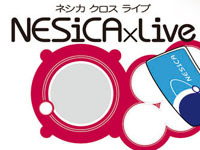 NESiCAxLive version 2.00 is released today. To mark the occasion, Taito has renewed the entire NESiCAxLive website and releases five games on its platform. This is in fact rereleases from the following titles: Arcana Heart 2, Suggoi! Arcana Heart 2, En-Eins Perfektewelt, Trouble Witches Episode 1 - Daughters of Amalgam AC and Power Instinct - The Commemoration / Gouketsuji Ichizoku. In Trouble Witches, a new secret playable character has been added. 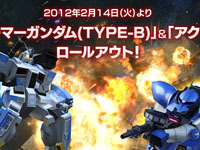 Good news for Mobile Suit Gundam - Senjo no Kizuna: Banpresto released today an update that adds two new mechas. They can be purchased in the game for 240 credits each. This is the FA-78-1B Gundam Full Armor Type-B operated by Led Wayline (nickname of Johnny Ridden), appeared in the novel MSV-R: The Return of Johnny Ridden (published in 2010) and MS-11 Action Zaku piloted by Mallet Sanguine and seen in the anime series Mobile Suit Zeta Gundam (broadcasted between 1985 and 1986). The FA-78-1B Gundam Full Armor Type-B can make long range shots and the MS-11 Action Zaku is very fast.